Lausitzer Rundschau: “East and west can meet at eye-level, and at least musically, together have something to say. The proof for that is the german-bulgarian-grecian ensemble For Free Hands, playing together with Floros Floridis (Sax, Clarinet) and Alaa Zouiten (Oud). In the first set the ensemble introduced some self-composed pieces from the band leader Andeas Brunn. Those and more could be found on the album “Kaleidoscope Freedom”. Brunn has that passion for odd-meters and polyrhythms that could be found in the bulgarian music. So is the “Magic Friday”, written in a 13/16 bar. Did the listener notice ? “I hope not, it wasn´t ment to sound complicated”, said the composer. 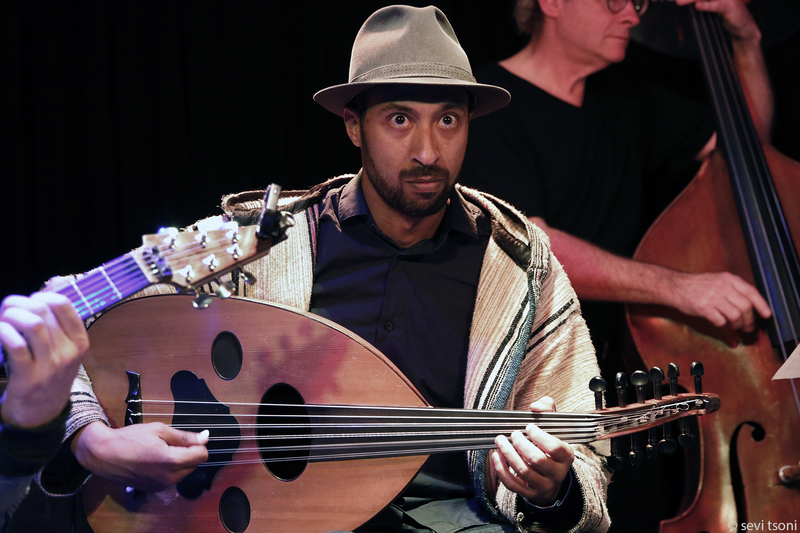 In the second set it came to an intensive encounter with the music from Floros Floridis and Alaa Zouiten. The musicians from For Free Hands met Alaa Zouiten in Marocco. 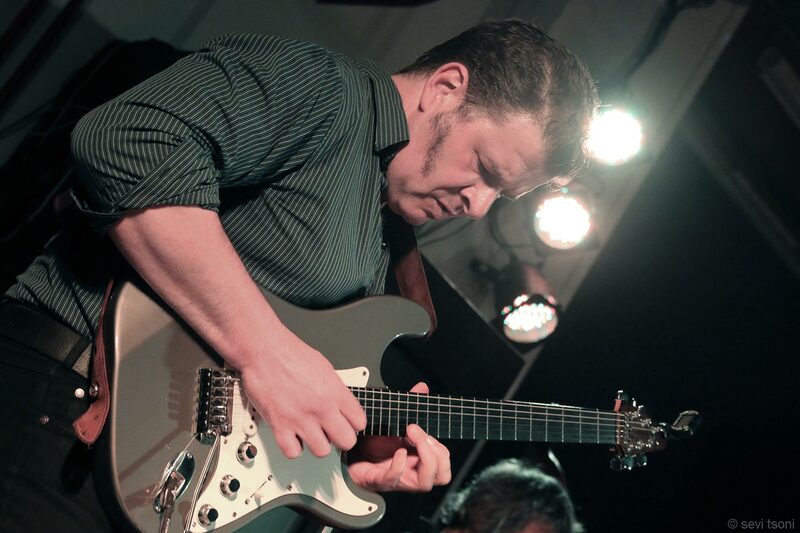 JAZZPODIUM: “Andreas Brunn is a dedicated guitarist and composer, an active mediatorial and reconciler and particularly fond of the East, nota bene Bulgaria. (…) “Perpetuum five” comes as electrified post-bop, grippy, squared, edged, angry, mad, jazzy. Karparov is lively and striking. And there is the uncomfortable “Magic Friday” or the title track, in which Karparovs tendency to occasional lyricism and Brunns occasional “circuit-with-funny outbursts” provide the contrast that generates voltage and excitement. JAZZ Thing Issue 106: “Those who can count have a clear advantage, and being able to do fractions does not hurt either. 5/8, 7/8 & 13/16 are some of the rhythmic fabrics that together form the outfit of the multicultural Berlin-based quartet FOR FREE HANDS on its new CD “Kaleidoscope Freedom”, and it teems with surprising twists and turns, pitfalls and tricky cliffs.